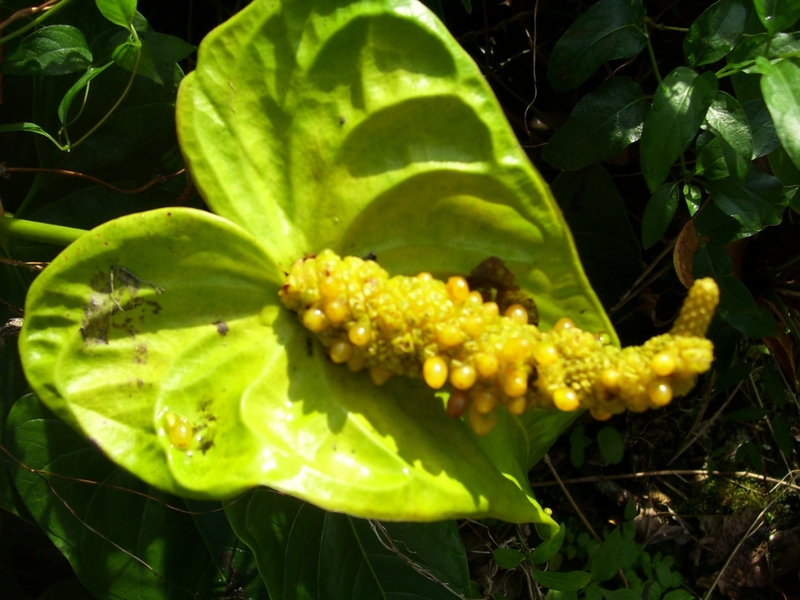 Most people propagate their anthurium plants through cuttings. But the downfall of this approach is that the offspring that is produced is identical to the parent plant. If you want variety in the anthurium flowers that you produce, you will need to learn how to pollinate your anthuriums in order to get them to produce seeds. The plants that you grow from these seeds will have traits from both of their parent plants, but sometimes you can get something completely unexpected due the presence of recessive traits. The most challenging element about growing anthuriums from seeds is getting the seeds to form in the first place. To do this, you will need to learn about anthurium pollination. These flowers have both male and female components, but usually they won’t self pollinate, because the stigma is active before pollen is produced. This ensures that wild plants are cross pollinated as frequently as possible to improve the genetic diversity of the species. The first thing you must do is gather pollen. Wait until the flower produces pollen and use a brush to collect the pollen in a vial. Store this vial inside a freezer until another flower is ready for pollination. Or use the pollen immediately if another flower is already ready for pollination. After a flower blooms, wait for the stigma to secrete nectar. When this happens, the flower is ready for pollination. Use your brush to dust pollen over the stigmas. Then all you need to do is wait until seeds are formed. You may have to wait for a full year for the seeds to mature. They are mature when they stop growing and start to fall off the spadix. Pop the berries that contain the seeds and plant them immediately. After a couple of weeks, the seeds will begin to grow and then, you will only have to wait another two to three years to find out what the new flowers you have created will look like. It takes about two to three years for anthuriums to produce their first flowers after sprouting from seeds.